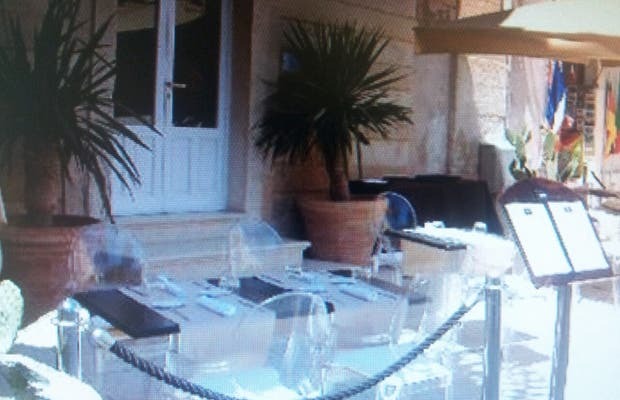 In Syracuse, which is, perhaps, the most beautiful city in Sicily together with Taormina, you can find the Ristorante Regina Lucia. I was pleasantly surprised by the decoration: the thick brick walls make it appear like a farmhouse in the center of the city. It has huge lamps, see-through chairs, and an odd black toilet. The best part is the food...traditional, signature dishes that you can not make at home yourself. In summer you can dine on the terrace in the Duomo Square. It could not be any better.